I am really happy to be sharing this stunning book by my friend Tess! 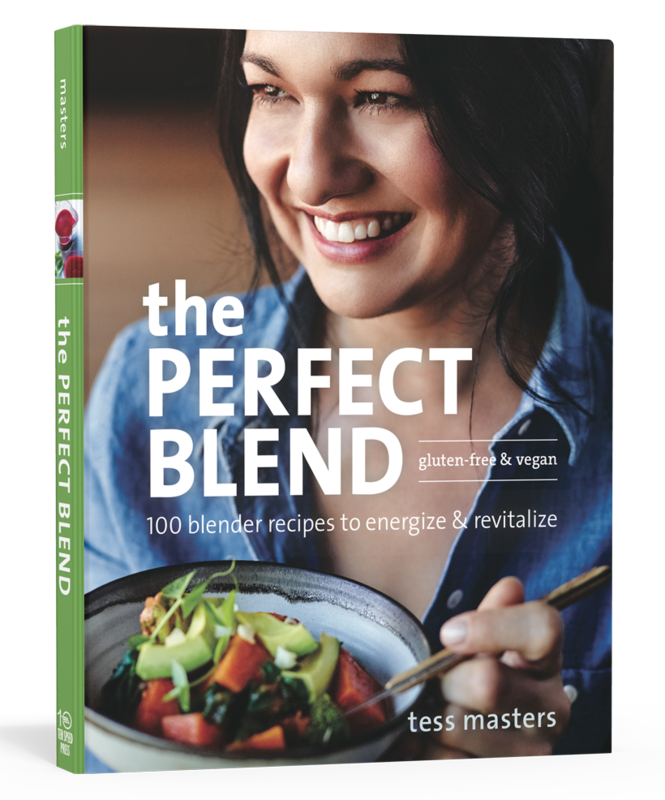 The Perfect Blend by Tess Masters is a cookbook that everyone with a blender should own. And though it is a "blender" book, this book gives you so much more than soup and smoothie recipes. From salad dressings and dreamy sauces to decadent desserts, spreads, dips and the best part: complete meal solutions (salads, casseroles, stews, dinner ideas, breakfasts, snacks..) and more. 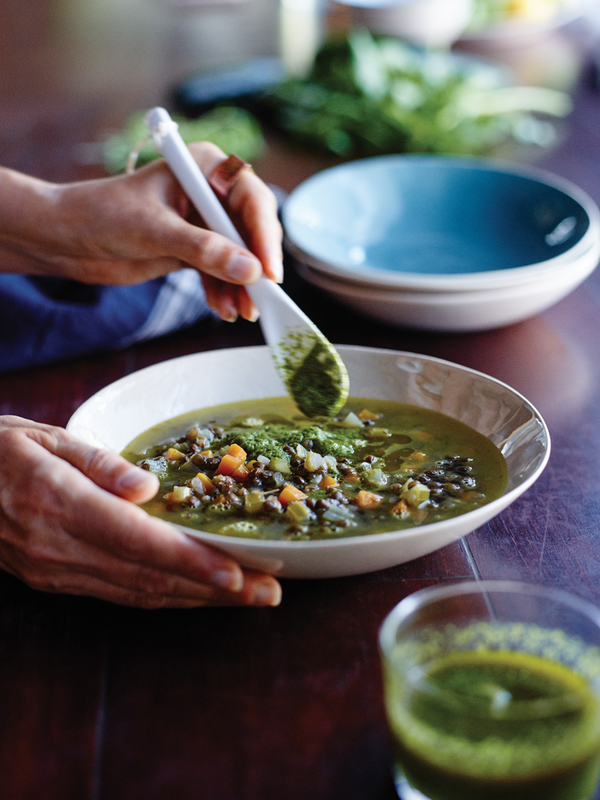 This book is packed with wellness, deliciousness and inspiration. Read my five fave things about this book! Plus, a recipe..
Today I am sharing Tess's recipe for French Toast with Caramelized Bananas because I am totally making this for my husband tomorrow morning for Valentine's Day!.. So before I dive into the recipe, here are my five fave things about this gorgeous book..
1. Photography. These are not just food photos, they are life inspiration photos! This photography is gorgeous and will leave you with a rich soul, feeling inspired for how you want your food, your plates, your dining table and your whole food essence to look in your life. Filled with plants, flavor and feel-good cravable everything. 2. Information. Not only do you get recipes and pics, but you get loads of nutrition information in this book. 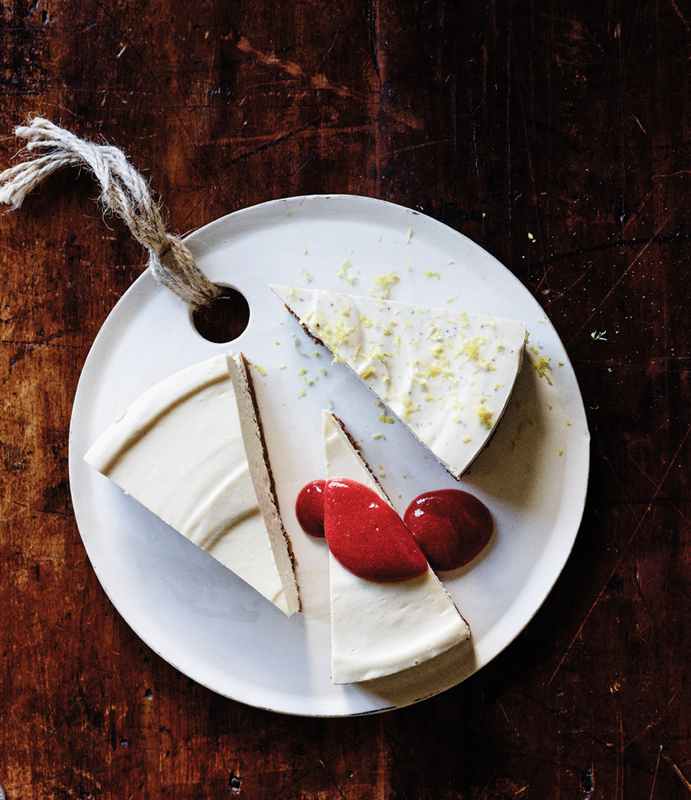 How to eat, what to eat, why to eat certain ingredients and more. Tess brings her many years of experience into each page of this book. 3. Flavors. Tess's recipes are not boring or one note or hum drum. Nope. They are all colors of the rainbow gorgeous, flavor-gasm on every page, omg-YES type of recipes. Recipes you will be so in love with that you will easily make them again and again. The one thing I have learned about Tess over the past few years of chatting with her and seeing her in action is that she knows her flavors! Not just the go-to flavors like cinnamon or pepper or heat. She knows how to bring a magical mix of ingredients to one recipe so that each ingredient is complimented by the others and everything sings in a powerhouse symphony of deliciousness. Basically, her food is yummy. That's really what I am trying to say here guys. Yummy and as Tess would say, "Next Level!!!" 4. Wellness. 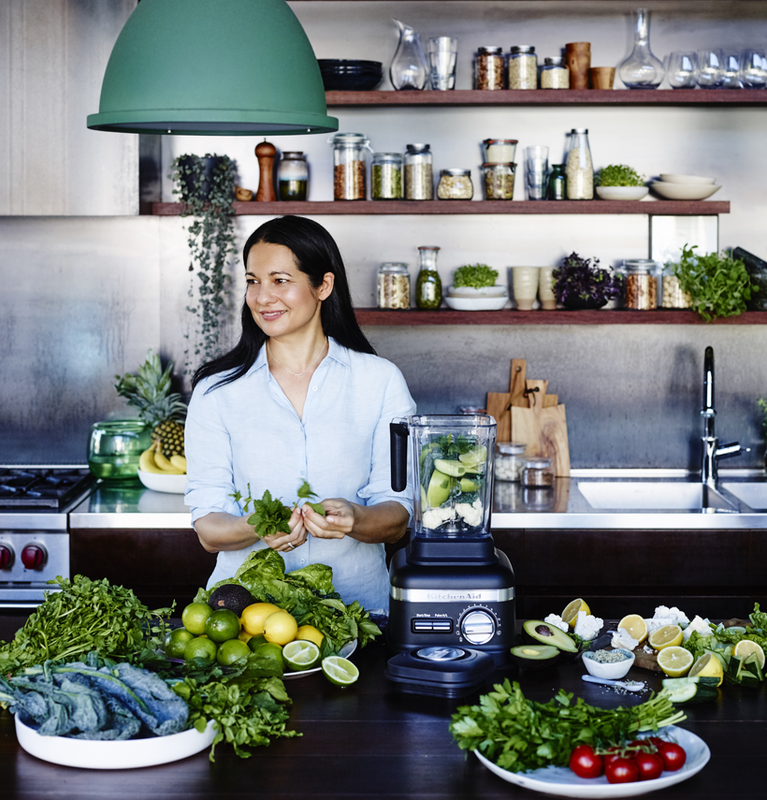 I love how Tess groups her recipes by use for wellness. Chapters include, weight loss, feed the soul, anti-inflammatory, fabulous fats, alkaline forming, detox and more. But this is not a diet book or "do this and you will be healthy" book. Tess is giving you genuine guidance on how to eat to slowly and surely bring more wellness into your life into these unique areas. 5. Yes You Can. 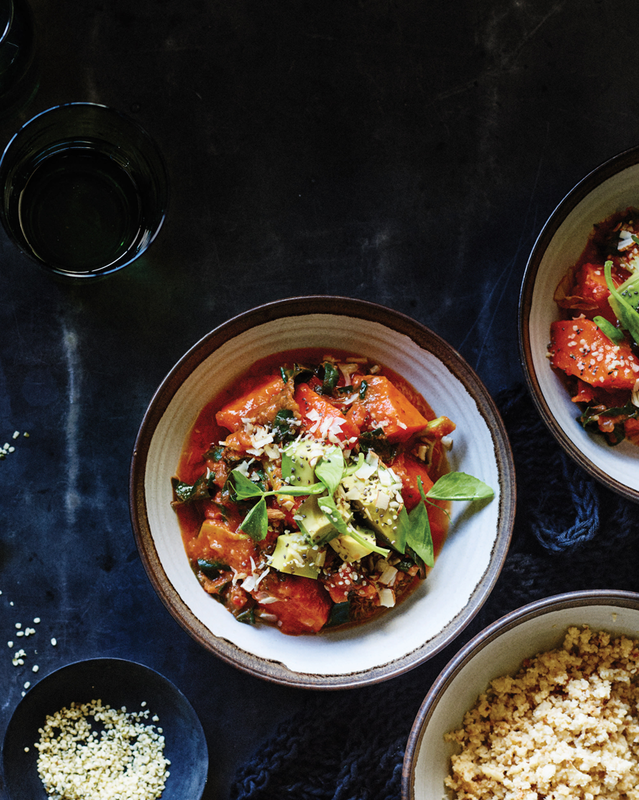 This book looks and feels like something you would find from a group of super fancy, gourmet chefs because it is so sophisticated in nourishment and creative in stance. But when you actually read the recipes and steps you start to realize, hey, I can totally make that! Wow, I actually have all those ingredients on hand or I know where to find them and how to use them. Boom. Instant glory in YOUR kitchen. 6. BONUS one for you.... blender love! I have a deep love of my high speed blender and I am constantly looking for more ways to use it -- besides my basic smoothie and soup routine. 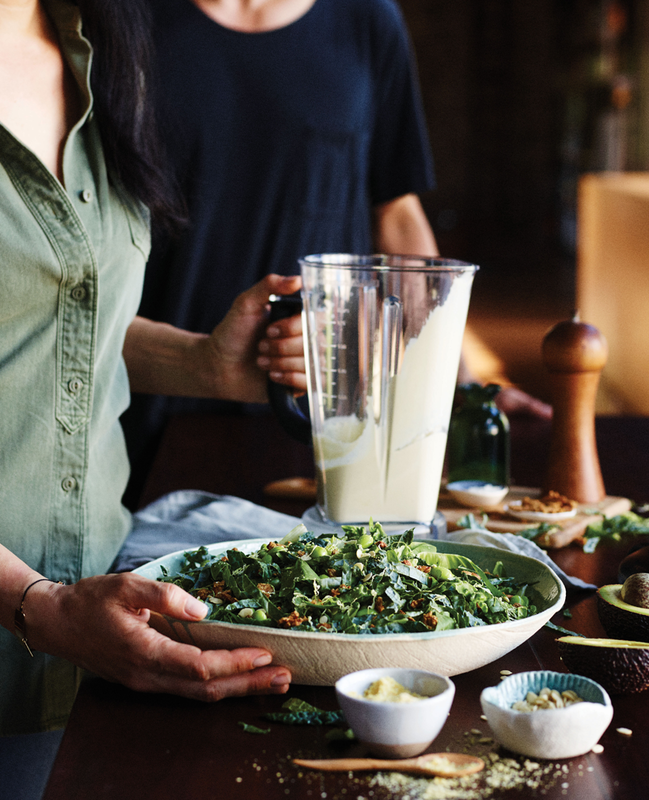 The book, every single recipe in this book, gives you a new way to use your fancy blender! Yes. Thank you Tess, aka the blender Queen. Love you and your geniusness, and I send you so much love and congrats on this accomplishment. For a decadent breakfast, brunch. dessert or (dare I say it?) snack, you can't beat this phenomenal French toast. Set the oven to its lowest temperature or the “warm” setting. To make the French toast, pour the milk, banana, maple syrup, vanilla, chia seeds, cinnamon, and salt into your blender and blast on high for about 30 seconds, until well combined. Pour the mixture into a large shallow baking dish and let rest for about 5 minutes to thicken slightly. In batches, place slices of the bread in the baking dish and let soak on one side for 8 to 10 seconds. Flip the slices and let soak for another 8 to 10 seconds, until evenly moistened. In a medium skillet (that fits two slices of bread) or on a large griddle (that holds all of the slices) over medium heat, warm 1 to 2 tablespoons of coconut oil per two slices of bread. (Resist the urge to use less coconut oil, or the bread won’t get crispy.) Add the bread and fry for 4 to 6 minutes on each side, until golden brown and crispy on the edges; you may need to add more coconut oil after you flip the bread. If cooking in batches, transfer the French toast to a lined baking sheet and place in the oven to keep warm, and repeat to fry the remaining bread, adding more coconut oil to cook each batch. While the last pieces of toast are cooking, make the caramelized bananas. Combine the banana slices and the coconut sugar in a zipper-lock bag, seal, and shake to coat evenly. In a skillet over medium-high heat, warm the coconut oil, add the coated bananas and the bourbon booster, and fry for about 2 minutes on each side until nicely caramelized. 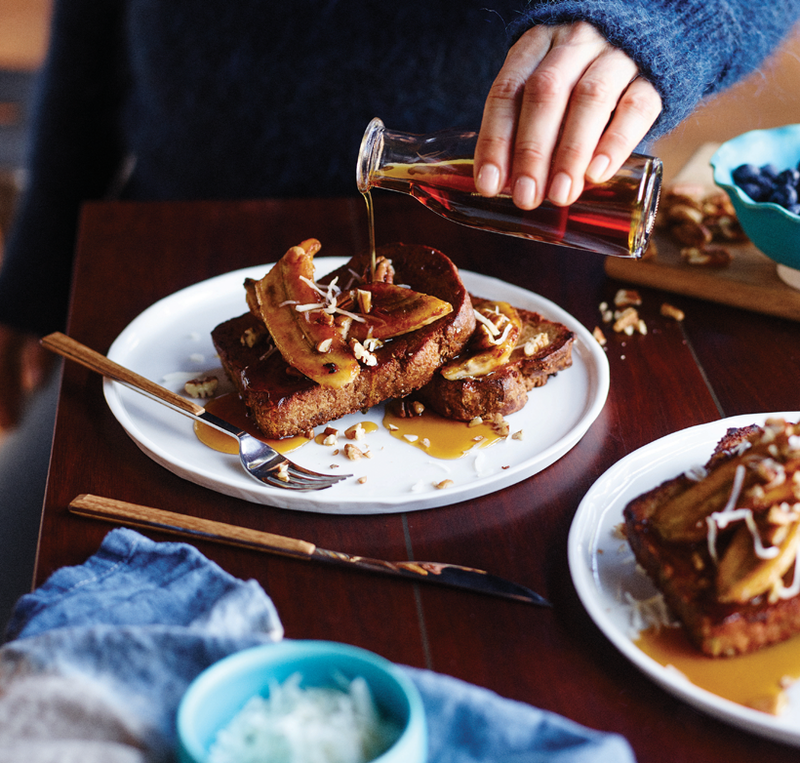 Serve two slices of French toast on each plate, topped with one-quarter of the caramelized bananas, one-quarter of the crushed nut boosters, and one-quarter of the coconut booster. Pass maple syrup at the table.